A growing population of tule elk has created tension between wildlife advocates and ranchers, whose cattle compete with the elk for food. A small and slightly mysterious agricultural lobbying group that surfaced recently in Marin County has community members, naturalists, and environmentalist organizations on edge. The Resilient Agriculture Group (RAG), fronted by several local figures known for pro-farming political positions, first appeared in early January and is working with lawmakers in Washington, D.C. to amend existing federal restrictions on the use of public lands for grazing cattle. "We just want to change the founding legislation of the [Point Reyes National Seashore] so that ranchers are guaranteed they'll always be able to farm out there," said Phyllis Faber, one of the principal founders of the group. "Right now, ranching is not specifically protected," but it should be, she said, because that was the understanding when the park was established in 1962. "For the park to preserve agriculture is part of the obligation the public made to the ranchers," said Faber, who also cofounded the Marin Agricultural Land Trust. Kevin Lunny, whose family has ranched cattle for generations at Point Reyes and who used to own Drakes Bay Oyster Company, said he joined RAG, as the group is called, when he discovered that its goals aligned almost perfectly with his own and those of other ranching families who use the national park. "What RAG wants is everything the ranchers want, and that's security," he said. "There's nothing mysterious about it." But community activists, as well at several ranching families, in West Marin are concerned the group wants more than just a long-term promise that ranchers can remain in the park. "Our concern is they want to privatize the seashore, and we don't know what kind of private land use rights they're hoping to establish within the park if ranching is already allowed," said Neal Desai, director of field operations with the National Parks Conservation Association. "Ranching has been working out there just fine for 50 years. So, what more do they need and why?" RAG has hired former Republican Congressmember John Doolittle as a lobbyist, and they've also contacted U.S. Sen. Dianne Feinstein, D-Calif., who Faber noted, "has a strong liking of Kevin Lunny." Feinstein has been a strong supporter of cattle ranching at Point Reyes National Seashore and tried to block the creation of the first marine wilderness on the West Coast in order to allow Lunny's oyster farm to continue operating at the park. That effort, which involved Drakes Bay Oyster Company teaming up with a group that has close ties to the ultra-conservative Koch Brothers, was ultimately unsuccessful, and the oyster business was forced to close at the end of 2014. Also helping RAG's effort is the law firm Baker Botts. Thomas Jackson, special counsel at Baker Botts, was present at an April 25 Congressional hearing on "The Weaponization of the National Environmental Policy Act and the Implications of Environmental Lawfare," where Laura Watt, a Sonoma State University professor and member of RAG, testified. In her address to the House Committee on Natural Resources, Watt said the environmental protection law — which has been a key tool for regulating industries and controlling pollution — had been used inconsistently and unevenly by the National Park Service against Point Reyes ranchers. According to Baker Botts' website, Jackson has focused on the "takings of private property" under the Fifth Amendment of the Constitution — one of the same claims that the Koch-funded Cause of Action brought on behalf of Drakes Bay Oyster Company in order to block the wilderness protection of Point Reyes. Desai said he believes RAG will pressure lawmakers to furtively amend existing law and not only protect ranching but actually ease limitations on how farmers can use the public lands of Point Reyes National Seashore. He and others, like Gordon Bennett, president of the group Save Our Seashore, suspect RAG hopes to make amendments to existing land use policies by slipping riders into senate or house bills. "Very few people would see it, and it could get passed and become law, and the public would have no way to object," Bennett said. Faber said this "simply isn't true." "We only want to see ranching incorporated into the founding legislation of the seashore," she said, adding that any process of amending laws would be public and transparent. Lunny, though, said that he and the rest of RAG — including two attorneys, Doolittle, and Watt — have agreed not to share publicly the language they have drafted and which they hope to embed into federal law. About two dozen families lease large properties in Point Reyes National Seashore, where they raise cattle for beef and dairy production. In 2014, some of these ranchers called on the National Park Service to allow a wider range of agricultural activities in the park, such as the production of pork and various row crops. The Point Reyes Seashore Ranchers Association, in a 39-page letter dated June 2, 2014 and addressed to the park's superintendent Cicely Muldoon, even asked for permission to conduct small-scale quarrying for road-building purposes. Some of those requests are being considered as park managers draft a new management plan — something they don't plan to finish until 2021. The process involves environmental reviews and opportunities for close public scrutiny and input. Bennett, who lives in the small West Marin town of Inverness, is confident the National Park Service will produce a fair management plan that satisfies all sides. "I'd like everyone to just step back and just see what the park comes up with in its management plan," he said. He pointed out that he considers himself to be at odds with both opposing sides — the environmental groups that sued the National Park Service in 2016 for allegedly favoring cattle ranchers in their land management policies, as well as RAG. "There are three parties here, and I'm in the middle," he said. Even ranchers within the seashore who could benefit from changes to existing laws have publicly distanced themselves from RAG. In an April 5 letter to the editor of the Point Reyes Light, David Evans and Claire Herminjard, who run beef cattle in the park, said of RAG that they were "deeply concerned by their methods for expressing their support [of ranching in the seashore] and believe their contentious actions are wholly counter-productive" to the park completing its revised management plan "and securing long-term leases for ranchers." They called RAG's actions "antagonistic." Another letter to the editor just one week later offered support for the statements of Evans and Herminjard. It was signed by members of seven ranching families who use the seashore. But Lunny said "a whole bunch of other ranchers want to join RAG." He said he doesn't want the legislative efforts of RAG "to turn into some Republican craziness" and that RAG hired Doolittle because, as a Republican, the conservative lobbyist "knows people" and has connections in the current Republican-dominated Congress. 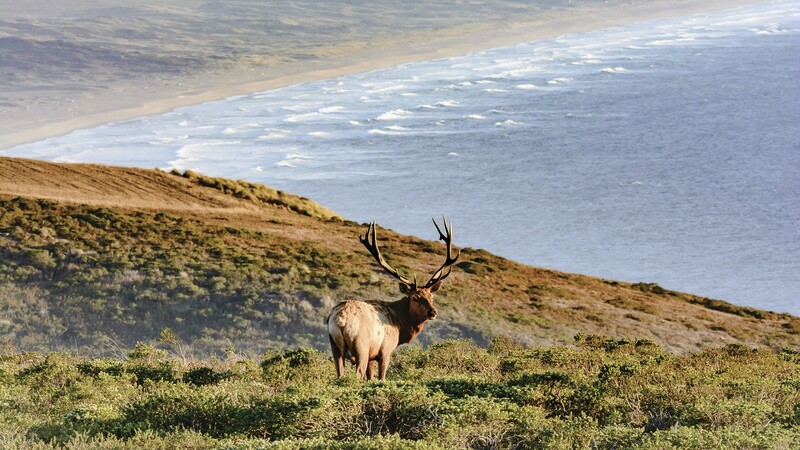 As the Express has previously reported, conflict has been simmering for years at Point Reyes National Seashore, where a growing population of native tule elk has created tension between wildlife advocates and ranchers, whose cattle compete with the elk for food. The plaintiffs in the 2016 lawsuit have said they want cattle ranching in the park more tightly restricted or eliminated with more space made for elk. The ranchers have asked for permission to expand their practices to include growing other kinds of animals, row crops, and even vineyards. Some have even discussed opening hotel-type outfits and retail shops. For his part, Bennett wants nothing changed. He said he feels the status quo is working by allowing farmers to make a living, wildlife to thrive, and the public to enjoy the area. Not only that, the current arrangement is part of the deal made between the federal government and the private landowners who owned the peninsula before it became a park. "The fact is, we promised the ranchers that they could continue ranching — that's how the public got the land at all," he said. "We said they could keep ranching as long as they sold the land to the government. That was a promise." Bennett said he wants his "colleagues in the environmental community to put their guns down." But ranchers, he said, must also back off with their hopes to expand the range of allowed commercial activities within the Point Reyes seashore.